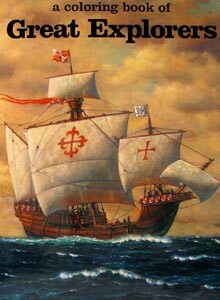 Here is Christopher Columbus in action! Color his most gorgeous portraits and & those of Balboa, Cortez, the Cabots and many more. Read about the adventures and derringdo of these great discoverers of our world. From Bellerophon Books.